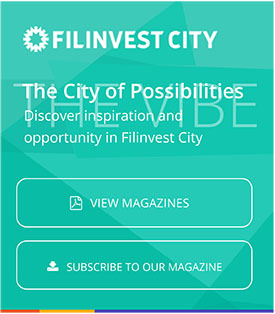 FILINVEST LAND, Inc. (FLI) will be launching P30 billion worth of projects this year, as it maintains a positive outlook for the property sector. This is almost double the P16 billion worth of projects FLI unveiled in 2018, according to a company statement issued on Monday. It's the season of giving. But as families endeavor to find the perfect gifts for their friends, they too should give themselves a much-needed break. The good news is families need not travel that very far to create meaningful memories this holiday season.